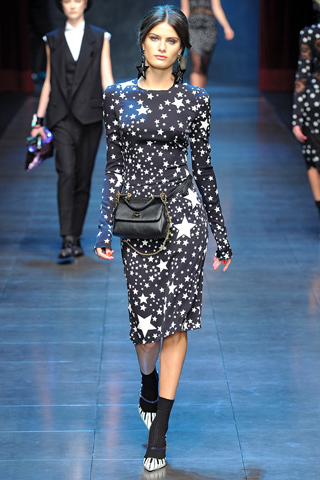 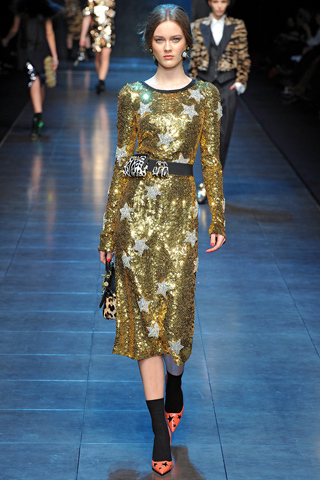 I was starstruck when I logged on to watch the Dolce and Gabbana Milan Fashion Week show. 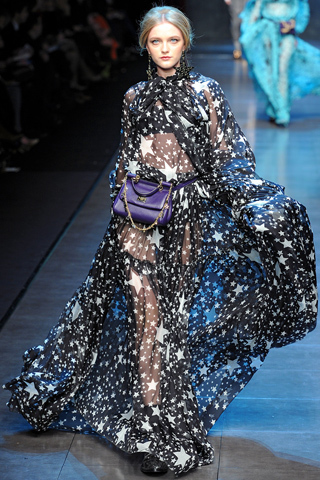 I must say that it really blew my mind. 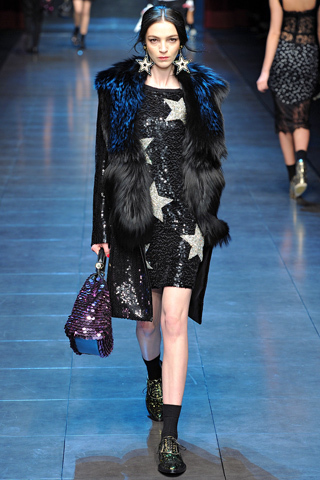 I've always loved the masculine cuts for girls, but adding the stars and fur with sequin fitted coats and glitter skinnies looked amazing! 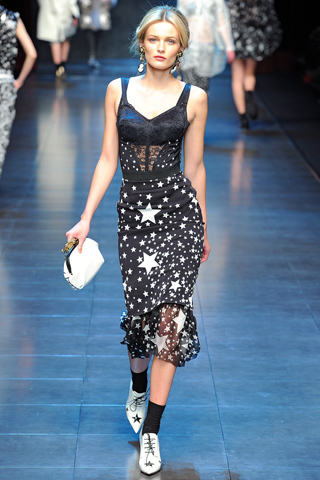 Not to mention the sheer star pattern dresses, musical note purses and piano shoes. 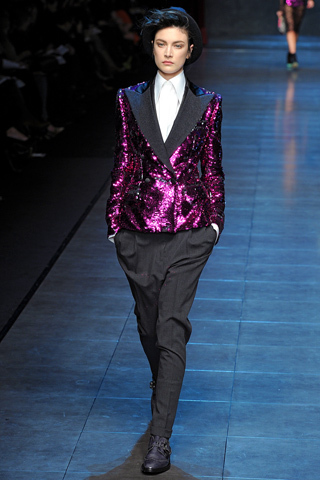 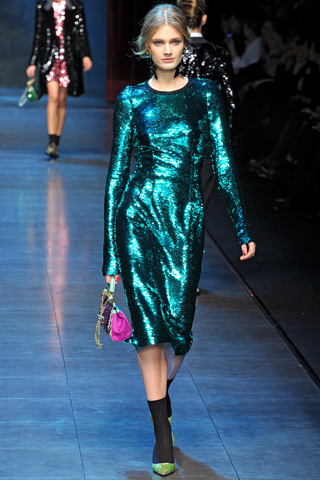 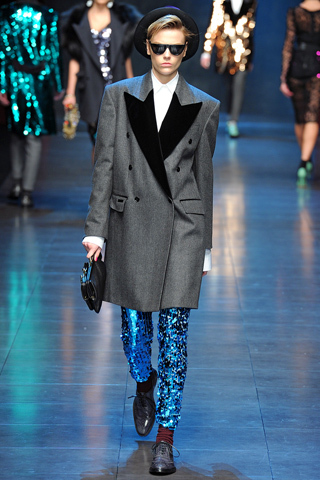 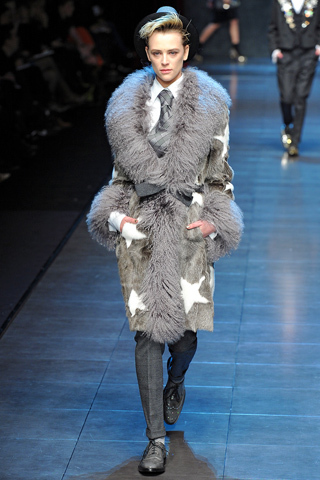 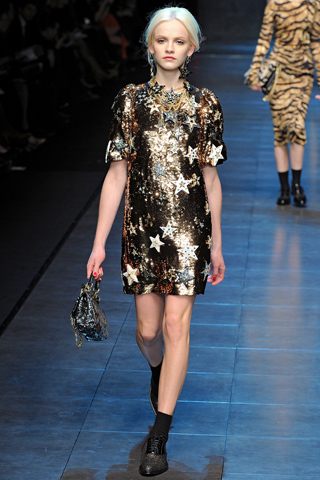 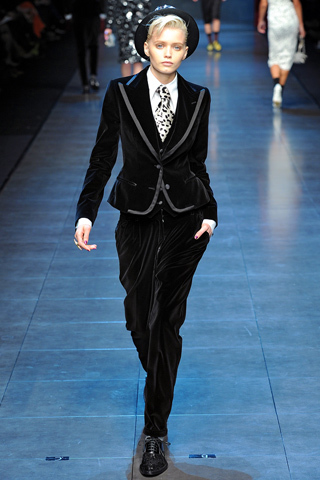 They also used some of my favorite models including Abbey Lee, who now looked like a young boy in her taylored suit. 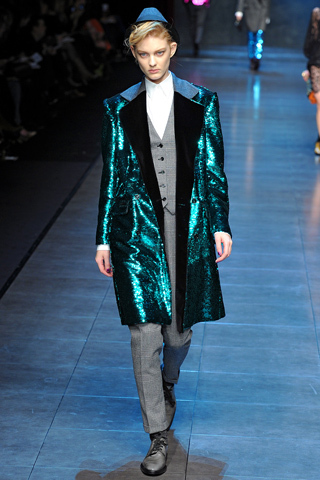 The show remined me of two wonderful songs from my childhood that I'm going to share with you now along with some of my favorite looks from the show.